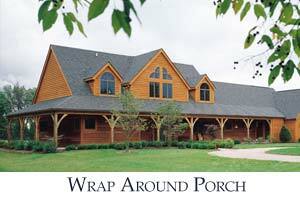 The Ranch Style timber home may be relatively new to architectural design in comparison to the European Country and Barn styles, but it has been a consistently popular choice for homeowners since its inception in the 1920’s. Known for its low-profiles, wrap around porches, and uncomplicated exteriors, this style is one that has inspired generations of families and homes. Below are some characteristics of the Ranch style that just might match your ideal timber home vision. When the Ranch Style was introduced in the early 20th century, two story homes were rare. This single level design is still a signature characteristic of the style to this day. 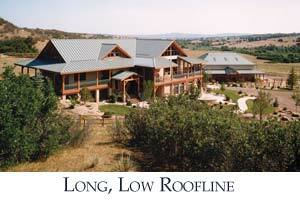 As a low-to-the-ground design concept, Ranch Style homes often feature ground-hugging rooflines. Visions of rocking chairs, iced tea, and a warm evening on a wrap around porch are often paired with this style. 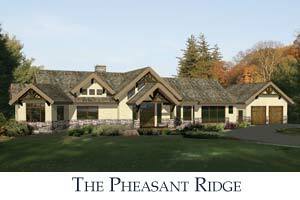 Typically clad in stucco or subtle wood and stone, Ranch Style exteriors are often uncomplicated and minimalist. A feeling enhanced by the low rooflines and single level design, the Ranch style’s layout of interior spaces is often spread horizontally across the land.